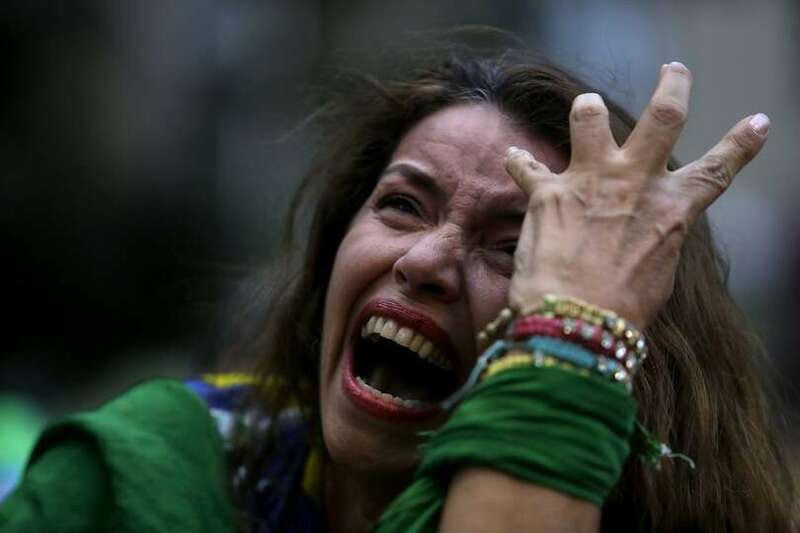 In the wake of the devastating shellacking of Brazil at the feet of German side, we saw hundreds, if not thousands, of pictures of crying and tearful Brazilians. Many sports fan empathized with these pictures. Part of being a fan is suffering through bad losses. Every true sports fan has been on the losing side at one time or another. We know how those Brazilian fans felt. Others raised the ridiculousness of crying over a game, especially a game one didn’t even participate in. It is one thing if you played in a game, gave your proverbial all, and then were overcome with emotion (such as Columbia’s James Rodriguez). But for fans in the stands or out on street to cry strikes many as silly. Something must be really out of whack. There are really two questions here. One: is crying an appropriate emotional response to a sporting event? Two: is it appropriate to have one’s identity so connected to a sporting event/team? The second question arises because of what I think the correct answer is to the first question. Sports fan invest a lot of themselves into their teams. This is not just a financial thing (tickets, merchandise, etc. ), but a connection to one’s identity. For a die-hard sports fans, the game isn’t something we watch as entertainment the way one might watch and be fans of Games of Thrones(*). One’s sense of self: who they are, where they are from, what they value; is wrapped up in their sports fandom. Fandom is a mode of self-expression. To say one is a Boston Red Sox fan tells the world a little something about who one is. Much more could and needs to be said about the connections between identity and fandom. However, if we can see that many die-hard sports fans, like many Brazilian futbol fans, have a deep identity connection to their team, it makes sense that such a devastation loss (especially in a World Cup on your home soil where you were one of the favorites to win) would lead to tears. This is where the second question comes in to play. 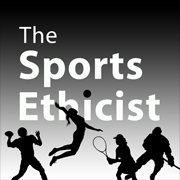 Is it rational or moral to have one’s identity so profoundly connected to a sports team? My short answer is yes. While, as with anything, one can go too far here, by and large, I think deep fandom is a healthy and fun way of being one’s self. The longer answer still needs to be worked out and developed but let me suggest a few points. The fun part is mostly self-explanatory. It provides moments of joy and excitement. Still, there are times that it doesn’t feel very fun (that’s what all the crying is about after all). But, overall, in the bigger picture of a being a fan, it is fun and thrilling. Sports Fandom is also by and large healthy. Fandom is an expression of choice and commitment. It is part of a process of self-definition. We define ourselves by the choices and commitments we make and this includes which sports and teams we choose to follow. Fandom ties one into a community, providing feelings of connectedness to a region, city, or tradition. It is a way of being with others and sharing values with others. Being a fan of a sport team or club is better than something more insidious like seeking the sense of community from a gang or looking for greatness in pushes for national conquests. Better that nationalism gets expressed in a sporting event than in geo-politics. The former might unfortunately lead to some fist fights in the stands, but the latter leads to wars. Go ahead and cry Brazil. Let it all out. (*)Update clarification: I don’t mean to imply or suggest that non-sport fandoms can’t or don’t invest part of their identity in their fandom. (As a Browncoat I wouldn’t want to make that mistake.) I only mean to say that sports fandom is not just about entertainment. I am not trying to say anything about other kinds of fandoms. I had an extensive discussion of this issue on my FB page, and many of us were not so sanguine about people crying and carrying one as if their lives had been destroyed. And if they felt that their lives were destroyed, then they have a problem. This is not an issue about being a fan but rather an issue about what is the appropriate emotional response to the situation, and some of these folks–even discounting for cultural and personal differences–were beyond the pale. I agree. People can go too far. “Carrying on as if their lives have been destroyed” is a good example of that. I enjoyed considering, all the while reading, is this even an appropriate form of question: “Is crying an appropriate emotional response to X?” As though it would be acceptable to say to someone, “You know, you really shouldn’t cry over/about X.” I find it hard to come up with many instances in which I could answer in the affirmative. Granted, it may not match with one’s tastes–you cry over soccer while another cries over Game of Thrones–but to say it’s inappropriate for one’s saddness to manifest in tears seems a stretch. It would have to be something extremely benign to cause concern, like (literally) crying if one spilled milk on the counter. And maybe that’s the point here: is crying about something that’s “just a game” of that spilled-milk genre? Hard to argue that it is, really, and I agree with the article on that point. It’s hard to know if these fans felt that their “lives have been destroyed” as per the above comment. Additionally, one can be both visibly upset about one’s team losing a game and also shed tears at life’s bigger issues such as genocide, starvation, etc. I don’t think that tears are somehow “wasted” on the wrong thing. I very much enjoyed the focus of the second question here. I actually grapple with that a bit myself: Am I putting too much of my emotional life into how this group of men wearing orange & black perform batting this ball around? And, additionally, Should I be spending my precious hours doing something more productive/high-brow/etc. The discussion here helps frame these questions nicely. Thanks for that. Very enjoyable all the way around. Very well put. I feel like I understand so much more. Thank you!